A student pilot’s introductory flight (or discovery flight, as they’re commonly called) is a huge milestone moment in their flight training. It’s what shows them the wonders of flight, and gives them their first experience behind the yoke. Becoming a pilot is a long and oftentimes expensive road, and the discovery flight shows people that it is more than worth it! In general, it costs a minimum of $10,000 to become a private pilot, which includes ground school, airplane rental, and dual instruction costs. That figure turns more people away than any other factor, and many pilots who are committed to learning to fly end up having to take out loans to complete their flight training. Ask any pilot who’s been flying for years, and they’ll tell you that they would double the intimidating pilot license cost in exchange for the privileges of being a pilot. The founder of the High Sierra Pilots Flying Club, Bryan, is one such pilot, and he dreams of introducing aviation to as many people as possible. “I’m making pilots,” you’ll hear him say with a smile. 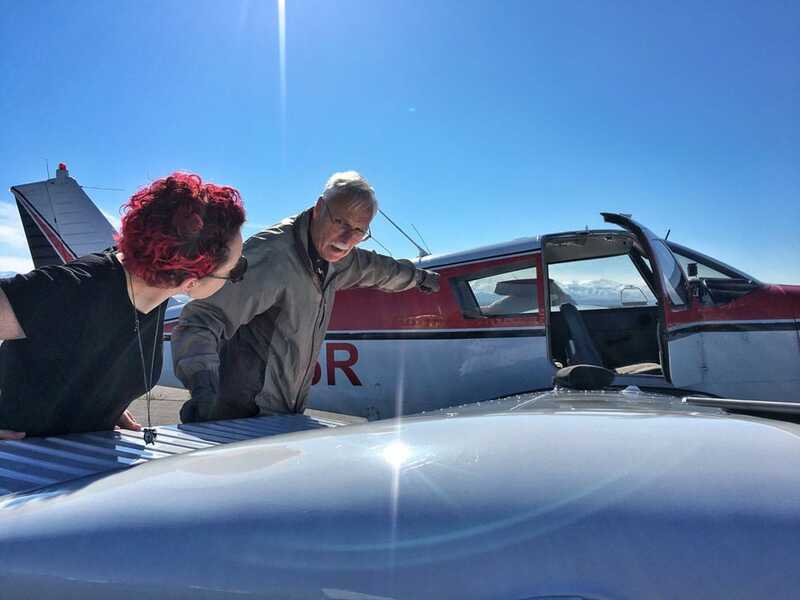 Offering a cheaper alternative to traditional flight training for student pilots and offering private pilots a wider selection of aircraft to fly, and not making money, are Bryan’s two primary motivations for starting the HSP flying club. So he did the math to find what the lowest possible price he could charge while still maintaining the fleet. It will potentially cost less than half of the traditional $10,000 to get through your flight training, from discovery flight to check-ride. By offering significantly discounted hourly airplane rental rates on the Piper Cherokee (the perfect trainer), student pilots can go through their flight training focusing on learning instead of being distracted by financial stress. The HSP flying club instructors also offer discounted rates as low as $50 an hour, as opposed to the traditional $75+. These instructors have vast amounts of experience, from flying with the Civil Air Patrol to flying for the airlines and learning aerobatics from the Blue Angels. At a local Tahoe area flight school, Sierra Aero, LLC1 in Truckee, California, you’ll have to compete with other students for the time and attention of the one or two instructors for $75/hr, rent a Cessna 172 for $150/hr, buy your own renter’s insurance, all your own materials, study on your own, and compete with charter jets for airspace. Additionally, because the weather in the mountains is so temperamental, many flight lessons will be turbulent or canceled altogether, greatly reducing how much you learn and enjoy flying. Instructors at Sierra Aero quoted me $15,000 to get your private pilot certificate. Another local Reno flight school, Ace Aviation2, is dedicated to rushing you through flight training as fast as possible to give you “instant bragging rights,” as they say on their website. They cost $185 an hour for dual flight training and $130 for the aircraft alone once you can fly solo. You’ll also have to shell out the hundreds of dollars on training materials and study primarily on your own. If you complete training in the minimum hours required, Ace Aviation quotes students a total of $10,055 to get their private pilot certificate. Traditionally, CFI’s (flight instructors) tell student pilots which books to buy and send them home to study alone. Some private pilot kits cost upwards of $300, and self-studying information completely foreign to you is often difficult and results in memorizing answers without understanding them. This process leads to pilots passing the written exam without truly being prepared to fly solo out in the world. These pilots rarely have the confidence and knowledge to take full advantage of their private pilot privileges, and never experience the true joys and freedom of aviation. And all of that above assumes that the self-studying pilot made it far enough to get to the written. The self-study aspect of learning to fly is often the most off-putting elements because very few people can stick to a rigorous study schedule on their own. To avoid students dropping out of flight training because they can’t handle learning on their own, the minden based HSP flying club offers ground school that will significantly increase your odds of thoroughly learning the material and thus becoming a safer pilot, and passing the written exam. Ground school lessons are available to be taken three times a week for $50, and give you the opportunity to ask questions you wouldn’t have the chance to otherwise studying on your own. It will also save you the $300 or so that it would cost to buy your own private pilot training kit which you will only ever need during your training. Because we’re a flying club and not a strict flight school, you always have the option to try learning the material on your own first and take lessons here and there to clarify any questions you may have. 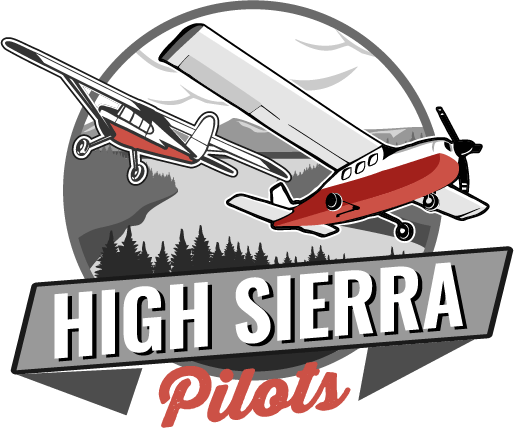 As a member of the High Sierra Pilots Flying Club, you have the support of a club and the autonomy of an owner.